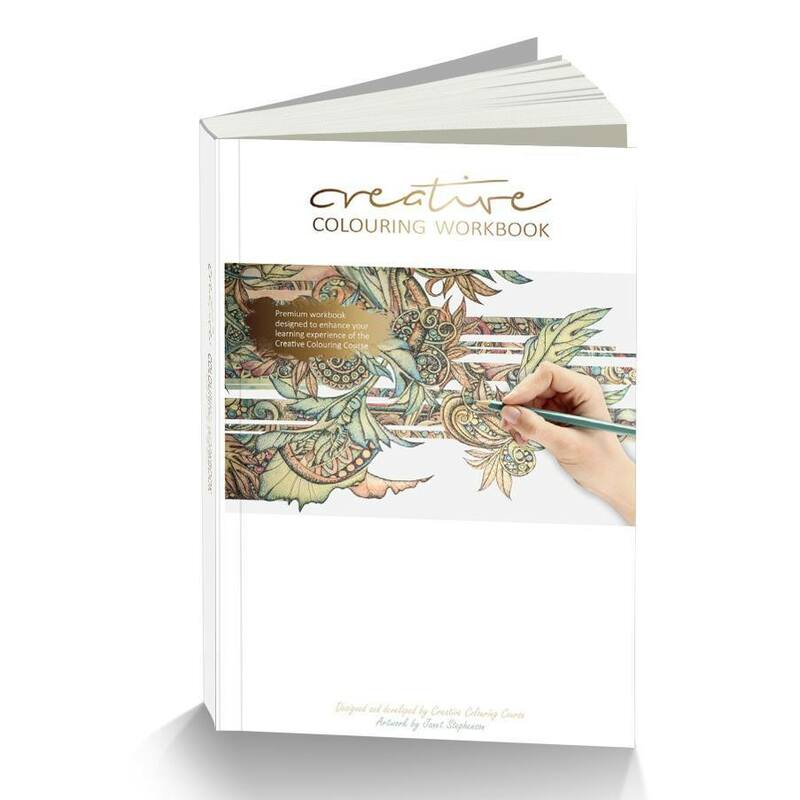 The premium quality, 100-page A4 workbook is designed to enhance your learning experience of the Creative Coloring Course. Each page is printed onto 190gsm premium paper. It not only looks great, it feels special too. Inside the workbook you will find the exact templates used by our expert tutor to demonstrate the techniques taught throughout the course. 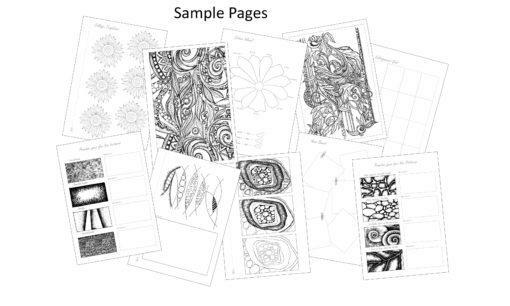 Templates include grid boxes, texture boxes, pattern boxes, color circles, collage cuttings, practice doodles, a variety of intricate designs to work into. 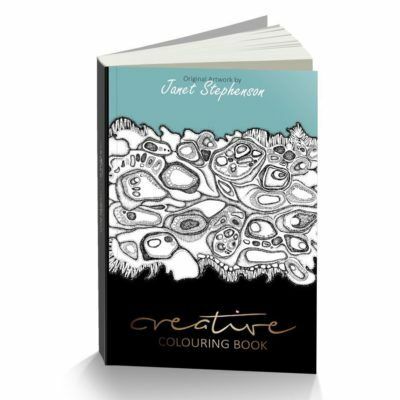 The book also includes Janet Stephenson’s own exclusive artwork for you to color, add texture and complete using your own ideas, style and much more. 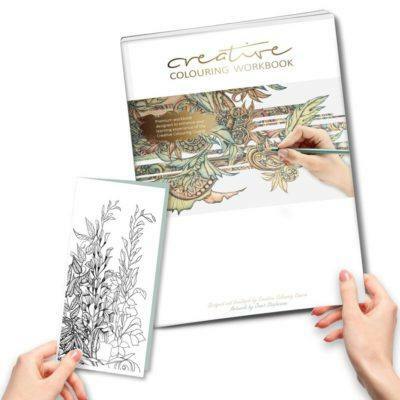 For the ultimate learning experience, why not purchase the premium quality, 100-page Creative Coloring Workbook – which you can use in conjunction with the follow-along creative coloring course? Inside the workbook you will find the exact templates used by Janet Stephenson to demonstrate the techniques taught throughout the course. Templates include grid boxes, texture boxes, pattern boxes, color circles, collage cuttings, practice doodles, a variety of intricate designs to work into, Janet Stephenson’s own exclusive artwork for you to color, add texture and complete using your own ideas and style. This workbook is crammed full of Janet Stephenson’s artwork – all waiting to be colored in by you! 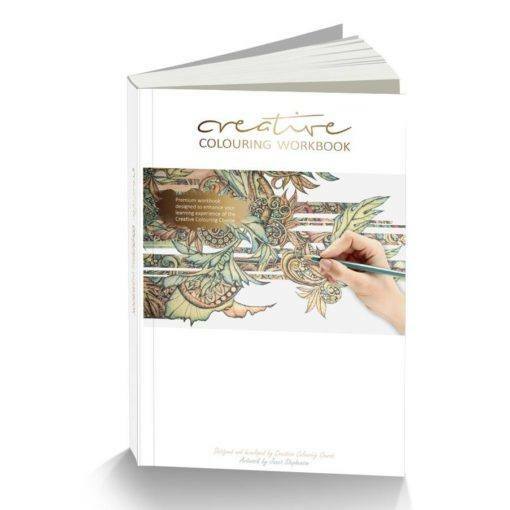 The book has been specially designed for all you budding artists out there in mind. You can use the exercises on detailed texture and pattern, experiment with color, or develop on the beautiful doodle designs and incomplete artwork as you practice and follow along with Janet’s coloring techniques. You will even have the opportunity to experiment creating your own collage using the templates provided, enabling you to create your own original piece of artwork. And of course, you will also find lots of Janet’s exclusive designs and detailed artwork for you to color in! 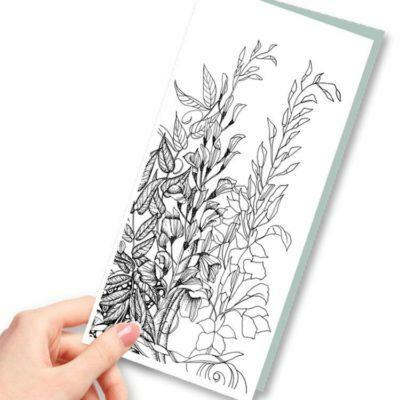 By the time you’ve completed this workbook, you’ll have a portfolio of intricate artwork that you’ll to treasure forever. 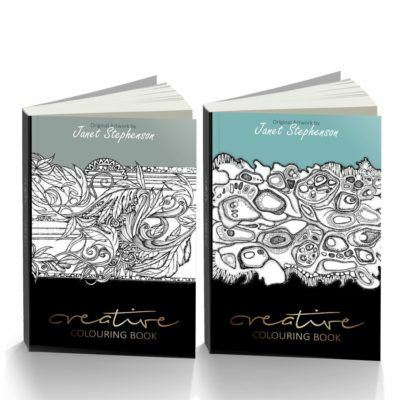 You will not find this artwork or book available to purchase anywhere else, it is exclusive to the creative coloring brand, and is limited edition – so grab it while you can. I agree with previous review, to have the book in front of you is very beneficial. I am going to purchase the book. Also I wrote asking for advice regarding the workbook and one of your people (Sam) replied to my email within a matter of hours! Sam gave me the info I needed and was very encouraging… All round this has been a great experience! I love the workbook. Your staff is brilliant. I’m having a great time taking the course.. If Janet does a “part two” course.. Let me know! I love my workbook. I am working my way through it with great enjoyment. It adds so much to the experience, I am so glad I bought it. I anxiously awaited the workbook and was like a happy child when it arrived. I have used it for a couple of lessons, so far. An artist friend was impressed by the course. I just received the Workbook and have used the Equipment and Preparation page for ideas of what supplies to order for the Course. This is a very high quality Workbook I know I can use to follow along with the lessons. I’m very impressed. The workbooks arrived much faster than I expected. The paper is high quality and drawings are beautiful. I really look forward to starting this course. Mine arrived in good time. I haven’t had the opportunity to start the course as of yet but am looking forward to it. It starts with the basics and works its way forward to more challenging projects. This is going to be fun. Wonderful Book!! I am so happy that I ordered it. I am also, very happy with the service. 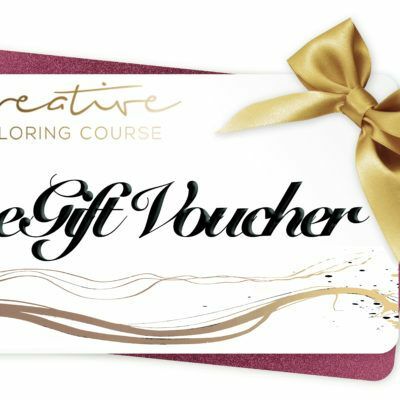 Love the Coloring Course, fantastic!! The workbook is a high quality book. It arrived pretty quickly. I have not done much with it yet except peruse it. I’m so looking forward to my Spring Break next week so I can dig in. I can’t speak highly enough about the workbook. The techniques I am learning require practice and having the drawings available for each lesson is priceless. As with the course instruction videos I will revisit the pages of the workbook over and over as I perfect my technique. The only improvement that could be made is to spiral bind the workbook so it lays flat. But it was very cheap to have it spiral bound at my local office supply store. I absolutely this workbook and the classes. The workbook is very good quality paper. I am learning the techniques and it is fun to keep practicing. My workbook arrived in a timely fashion, given that it had to come from England to remote U.S. I am impressed with the quality of the workbook and have already started putting the techniques to use that I have learned. I am anxious to keep going practicing. Workbook just arrived and looks great! Excited about getting started on this course. The book looks like it will be a valuable tool to help me through the class and a great reference for later. I haven’t got through it yet, but I am anxious to start. Looks like it will be easy to use with the class. I just received this but it looks like a good work book . Wish I had had it a few weeks ago when I started . I received the workbook quite quickly being in Canada. It’s good quality and I’m looking forward to start using. The reason why I’m only giving it 4 stars is because I already see the binding going to be an issue and with the price of the course, this workbook should be free. The workbook is beautifully done with quality covers and inside paper. I was told it would ship in about 21 days, but received it one week after ordering. The book is printed on thick paper which is wonderful. The designs are easy to see, and the work-space is quite generous. My only complaint is I wish that it had been spiral bound or bound in a way that it would lay flat. Excellent book and well worth getting to use as you do the course. I received my workbook in good condition and within a reasonable amount of time. I love that the pages are nice and think and the designs are clear and easy to see. I only wish I had ordered it sooner so I could have had it when I was doing the course. My workbook arrived even earlier than I anticipated. It is beautifully designed. Because of outdoor summertime activities, i.e. gardening, mowing, etc., I have not started my course yet. I am so happy that I ordered the workbook and have it right from the beginning when I start my course. I am anxiously looking forward to beginning. Very nice and helps follow the on-line class as I do it together with my grandson we can check back on prior lessons.